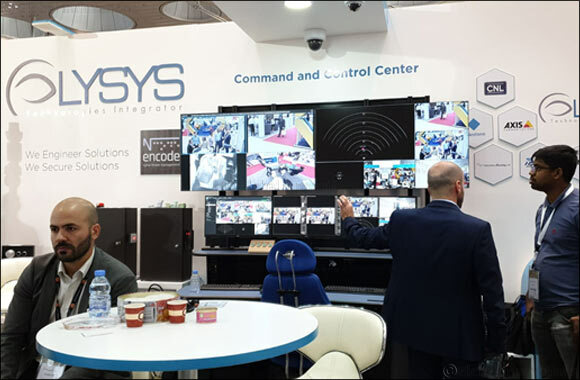 Qatar, November 08, 2018: Lysys group of companies continues to demonstrate strong commitment to the Qatari market with its participation at Milipol Qatar, the international event for homeland security and civil defense in the Middle East. During Milipol Qatar, Lysys Group was represented by Lysys Qatar WLL and Encode. Lysys Qatar (www.lysys.com) is a technology company with expertise and a successful track record in systems integration for security and ICT systems for critical infrastructure as well as industrial automation, professional and enterprise communication systems. Lysys is operating in Qatar since 2011. It maintains in Doha a large team of experts, system integration engineers, software developers and an experienced program management team. Throughout its operation, Lysys has managed to establish and keeps developing an advanced eco-system of partners who have the best-of-breed solutions in their respective fields. Lysys is proud to have participated and executed part of the scope of the most prestigious and world’s largest projects in Qatar covering a wide range of systems and technologies. Lysys is investing significantly in the continuous development of the skills and technical competencies of its engineers and project managers as well as its partnership with world best class vendors aiming to offer only the best solutions to its customers. Lysys shareholders and higher management are honoured to work in Qatar and to be selected to implement some of the most critical projects and would like to express their commitment for continuous investment in Qatar market and contribution in realising Qatar’s vision for security and knowledge transfer.